We have RVs for sale. We buy RVs as well. We also do maintenance work of your RV if you already have one. Here are the services we provide. 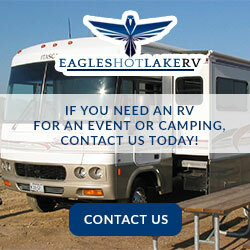 If you want to purchase an RV then we have a huge selection of RVs to choose from. We travel everywhere to source our vehicles. We offer both new and used RVs for sale. Our prices are very competitive and no other company can beat our price. If you are looking to sell your RV, we can help you. We have a huge database of people who are willing to buy used RV. We sell a large number of vehicles every month. You can make some extra money by renting out your RV. We will pay you a good price and take good care of your vehicles. We won’t cause any damage to it. Maintenance of RVs can be tough. We are experts in this matter. We can do all kinds of RV servicing including electrical installations, installation of security cameras, satellite, etc. If you are looking to buy an RV or have an RV that you would like to sell or rent out, then we can help you. We can also help you in keeping your RV in good condition.